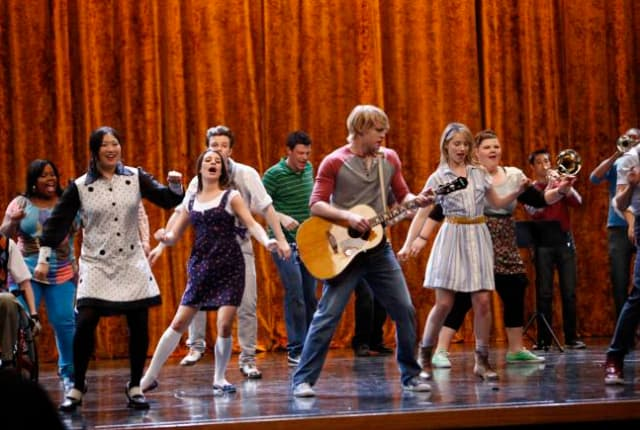 Watch Glee Season 2 Episode 19 online via TV Fanatic with over 7 options to watch the Glee S2E19 full episode. Affiliates with free and paid streaming include Amazon, iTunes, Vudu, Netflix, YouTube Purchase, Google Play, and Verizon On Demand. The kids of New Directions find out "interesting" news about Sam's family life. Meanwhile, April Rhodes returns to try to convince Will to travel with her.